Innovative telecommunications brand ROKiT announced today a multi-year partnership with the Los Angeles Chargers. As part of the partnership, ROKiT will become the team’s Official Wireless Partner and title sponsor of ROKiT Field at StubHub Center. Beginning with the team’s preseason opener on Saturday, August 18, ROKiT will kick-off a fully-integrated marketing partnership with a multitude of activations including the entitlement of ROKiT Field at StubHub Center; jointly supporting community initiatives for active and retired military servicemen and women; a season-long consumer sweepstakes; and an integrated media program. As part of the ROKIT Field entitlement, ROKiT branding will be featured on a variety of signage at Stub Hub Center, and on the stadium’s LED video board and ribbon boards.At its core, ROKiT’s mobile mission is based on three fundamental values: connectedness, well-being and security. ROK Brands Launches ROKiT Humanity Cell Phone Bundle to Democratize Healthcare. LOS ANGELES--(BUSINESS WIRE)--ROK Brands, a global company whose mission is to improve the lifestyle of mankind around the world with a diverse offering of products and services, announced the launch of their innovative telecommunications and service brand, ROKiT. Unlike other providers of mobile products and services, ROKiT aims to shake up the mobile market by leaping past talk, text, and entertainment bundles with a comprehensive lifestyle package revolving around health and protection for the whole family. ROK Brands, a global company whose mission is to improve the lifestyle of mankind around the world with a diverse offering of products and services, announced the launch of their innovative telecommunications and service brand, ROKiT. Unlike other providers of mobile products and services, ROKiT aims to shake up the mobile market by leaping past talk, text, and entertainment bundles with a comprehensive lifestyle package revolving around health and protection for the whole family. ROKiT Phones Named Inaugural Jersey Partner for Houston Rockets. 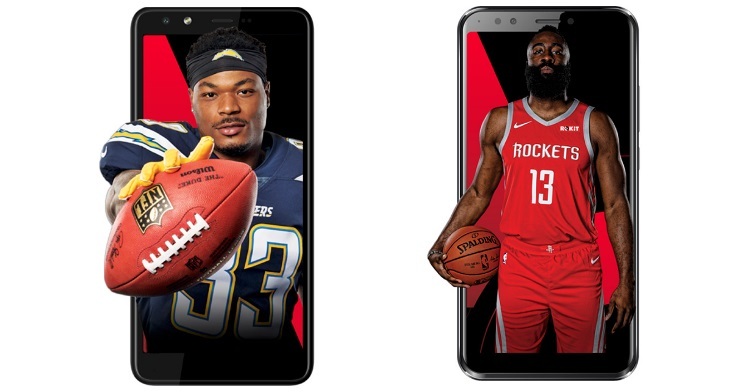 HOUSTON--(BUSINESS WIRE)--The Houston Rockets today announced a multi-year partnership with ROKiT Phones (“ROKiT”) that includes designating ROKiT as the Rockets’ inaugural jersey partner. Among other elements of the agreement, the ROKiT logo badge will be featured on all Rockets player jerseys beginning with the current, 2018-2019 season. VEECON ROK Corporation Pvt. Ltd. has unveiled the City Wide Wi-Fi Network to be established in 25 cities across India. VEECON ROK Corporation also announced a new line of Veecon ROKiT mobile handsets, including India’s first 3D glasses free mobile phone. VEECON ROK Corporation Pvt. Ltd. unveiled the City Wide Wi-Fi Network for 25 Indian cities and a new line of Veecon ROKiT mobile handsets. This includes India’s first 3D glasses-free mobile phone. Total of five devices has been announced by the company. The ROKiT IO 3D and ROKiT IO Pro 3D are the first glasses-free 3D smartphones to be introduced for sale in India. This mobile series will be available from 2019 and will come with BSNL SIMs. Gaurav Kumar Srivastava, Chairman, VEECON ROK Corporation Pvt. Ltd. said, “We believe technology should improve everyone's quality of life. This range of phones is going to revolutionize the smartphone business in the country as these are backed by the rich technological prowess of NASA Engineering. The unique feature of the 3D mobile phone is you don’t need to wear 3D eyeglasses. A mural of Derwin James is painted on a wall outside Baby Blues BBQ on busy Lincoln Boulevard in Venice Beach, California. Across the street is another mural, of Ronda Rousey. Around the corner is Gold's Gym, the place Arnold Schwarzenegger made famous. About a mile-and-a-half away is Muscle Beach. There's no mistaking this is L.A. Painted a month or so ago, the mural is about 15 feet high, maybe 20 feet wide, and shows James in his Chargers jersey, arms folded, coming out of a ROKiT phone. The artist responsible for the mural, Jonas Never, is a Los Angeles native who also has done murals of LeBron James, Kobe Bryant, Kirk Gibson, Fernando Valenzuela and Todd Gurley. On Christmas Day, two of the hottest NBA stars will sport ROKiT logos across their chests during one of the biggest game-watching days for the league and its super fans. Although some of the fans watching may not know ROKiT yet, they will take note as Houston Rockets players James Harden and Chris Paul hit the courts wearing the company’s logo. The startup telecommunications brand is approaching marketing with a completely different strategy—and it is racking up monumental sports sponsorships at a very early stage of building its business, including the Houston Rockets’ jersey sponsorship and field naming rights for the LA Chargers. The self-proclaimed troglodyte has done just fine without many trappings of the digital age, thanks to great managers who regularly update him and his ability to “see outside the box.” The successful philanthropist and entrepreneur — best known for haircare giant John Paul Mitchell Systems and tequila brand Patrón Spirits International — has a net worth estimated at more than $3 billion. Earlier this year, DeJoria (known as JP to his friends) sold his 70 percent stake in Patrón to Bacardi Limited in a $5.1 billion deal.